Call 01582 718968 between 10:00 – 12:00 and 13:00 – 16:00 to book a blood test within a one hour appointment slot. 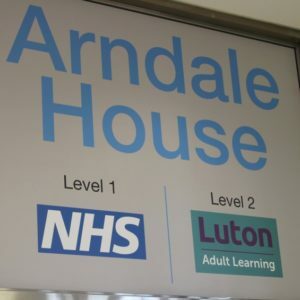 Adult GP Phlebotomy services, a full and comprehensive Dermatology service and Sexual Health services will move to Arndale House in the centre of Luton in June 2018. Around 80 Hospital staff will move to Arndale House, including Consultants, Nurses, Health Support Workers, admin and clerical teams and other support staff. It is planned that only one third of the total phlebotomy service will move to Arndale House; this is the adult GP phlebotomy and anticoagulation service only. The Trust has been keen to support one of the key themes of the BLMK STP which is to provide more services in a community setting. 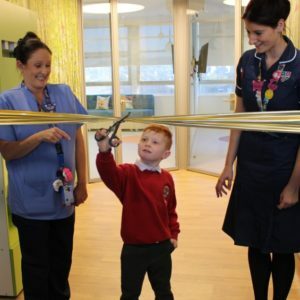 The provision of these services in a facility which provides good access to patients also releases space on the main site to support growth in clinical services. Specifically, the space being freed up on the hospital site will support the following service improvements for patients. Additional accommodation for emergency gynaecology clinics, and a movement of gynaecology outpatient clinics away from the obstetric clinics. This in turn provides much needed space for growth in consultant led clinics. A new pre assessment hub to support pre operative care for all patients undergoing surgery at the hospital. Current facilities are spread out across the hospital and provided largely from an old portacabin which is not conducive to the high standard of patient care that we strive to achieve. Additional outpatient accommodation to support specialist medicine clinics (gastroenterology, rheumatology, respiratory and cardiology). Service development in these areas will support improved access for patient and importantly, the new model of care will aim to support admission avoidance, ensuring that patients receive timely care and can stay in the comfort of their own homes, avoiding emergency admissions. The Trust has a contractual commitment under the terms of the service contract from Luton Borough Council to deliver Sexual Health Services from the centre of Luton. This service will move in its entirety to Arndale House in the centre of Luton. Services will continue to be provided in designated sites across the town which can be found here. Implementation of a timed appointment will be introduced at Arndale House to prevent the long waits currently experienced in phlebotomy. This service will move in its entirety to Arndale House. Consultation, diagnostics and therapeutic treatments will all be offered at Arndale House, to mirror and improve the current service. Improved access and patient facilities will be available at Arndale House.